If you’re in the market to get into a new SUV, a savvy consumer knows that it’s more than just about the price of the product today. You also want to pay some attention to what the vehicle is expected to be worth after three and five years of ownership. This metric is known as the vehicle’s residual value or resale value. The difference between excellent and mediocre or poor resale values can make a big difference when it comes time to sell or trade in your SUV. In line with this, Kelley Blue Book and ALG publish their award winners each year in resale and residual values. Here, then, are the top 5 2013 SUVs with best resale value, with some from the affordable compact, midsize and full-size categories, as well as luxury compact and midsize SUVs. 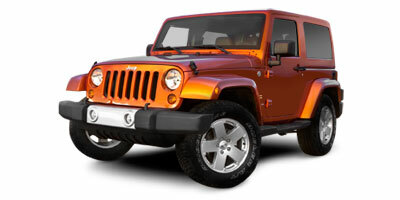 2013 Jeep Wrangler – The compact SUV resale value winner is the 2013 Jeep Wrangler, also hailed as number three on the list of Kelley Blue Book’s top ten 2013 cars for best resale value. Long-known for its unrivaled off-road duty, the Jeep Wrangler for 2013 is much more forgivable on the pavement than its predecessors. Pricing ranges from a base of around $23,000 to about $40,000. Three-year resale value is projected to come in at 67.0 percent of original value, while the five-year resale value is a high 55.3 percent. 2013 Toyota FJ Cruiser – This capable five-passenger off-roader is unique in exterior looks and claims the top spot in the SUV category for resale value in Kelley Blue Book (which classifies it as a midsize) and ALG (in the compact category). 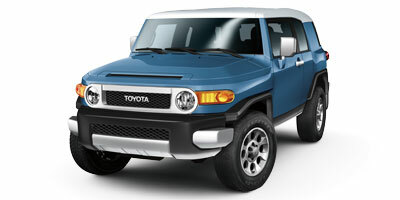 How good is the 2013 Toyota FJ Cruiser in terms of resale value at three and five years? Consider that the FJ Cruiser earns 76.0 percent of resale value at 36 months and 63.0 percent at 60 months. 2013 Toyota Sequoia – Combine V8 power, comfortable eight-passenger seating and a 7,800-pound towing capacity and you’ve got one serious full-size SUV/crossover in the 2013 Toyota Sequoia. Prices start out around $42,000, but for consumers looking for a fully-capable large SUV, the 2013 Toyota Sequoia may just fit the bill. It’s also a champ when it comes to resale value, providing an estimated 59.3 percent at three years and 43.3 percent at five years. 2013 Infiniti EX – In the compact luxury crossover/SUV category, the clear winner for resale value here is the 2013 Infiniti EX. Boasting some of the design architecture of the Infiniti G37 luxury car, the Infiniti EX also benefits this year from a new 325-horsepower V6 engine. Pricing starts at just over $35,100 for the rear-wheel drive base model and climbs to around $41,000 for the all-wheel drive EX37 Journey. 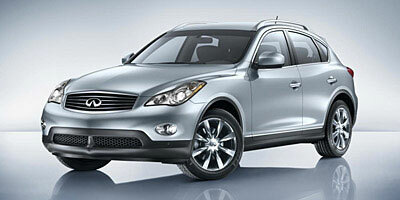 The 2013 Infiniti EX is expected to carry 59.0 percent resale value at 36 months and 44.5 percent at 60 months. 2013 Porsche Cayenne – Number seven on the KBB list of top ten cars with best resale value, the 2013 Porsche Cayenne is also the category winner in compact luxury crossover/SUVs. Five different flavors offer consumers the choice of V6, V8, gasoline, gasoline/hybrid and (new this year) turbodiesel, but there’s also some form of all-wheel drive and every Cayenne except the base gets a seven-speed Tiptronic S automatic transmission. Need more convincing? The Cayenne is Porsche’s best-selling model in the U.S. Pricing for all this luxury isn’t cheap, with base models starting at just under $50,000 and the top-of-the-line Turbo in the vicinity of $110,000. But resale value is excellent at 67.8 percent at 36 months and 48.0 percent at the five-year mark.